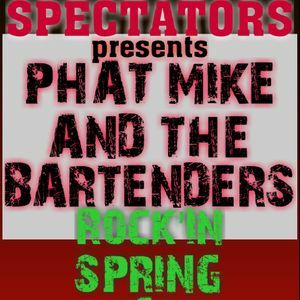 Phat Mike ready to kick spring off right at Spectators one of the hottest clubs in Jefferson City Missouri !!! Come check out their killer Cuisine shoot some pool in the basement and rock out to the legendary party Band Phat Mike and the Bartenders GET YOUR Dance Drink and Party ON yall !!! !